Ken Graydon is a treasure. The genuine article. His voice, his writing, his insights, and his mere presence are as connected to the history of the American Southwest as Canyons & Cactus. 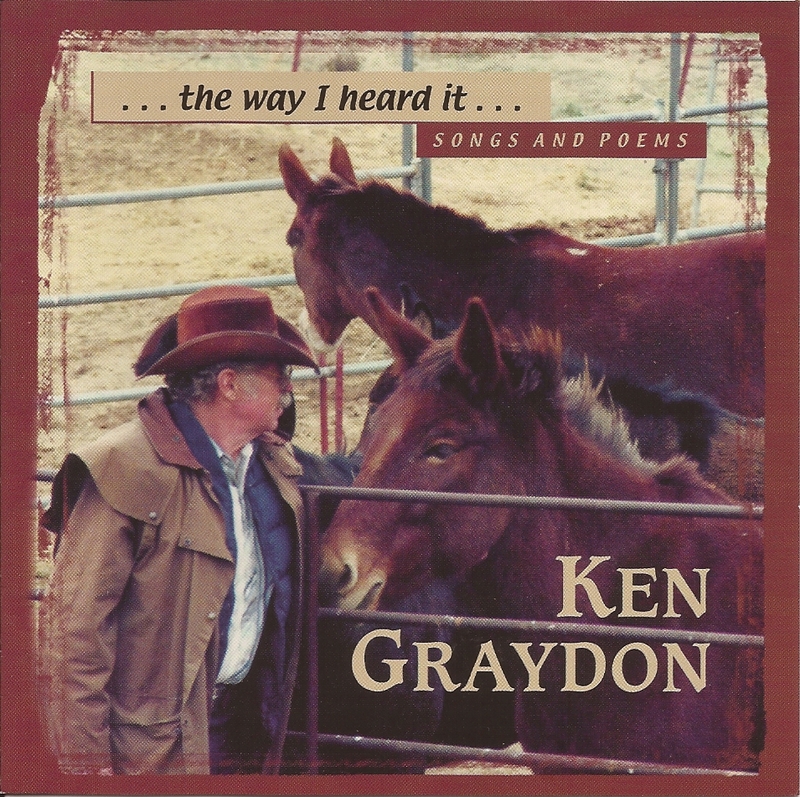 On The Way I Heard It Ken spins yarns and stories about colorful characters, real life experiences, and historical facts about the ways of the west. Ken is very funny. 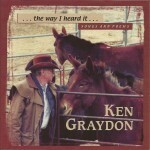 You’ll laugh out loud at some of his Cowboy poems and the insights he provides about life and ourselves are priceless. Ken is also carrying on tradition and integrity in the image of the folksinger. If it’s snortin’, steamin’, made of leather or steel and moves the ground as it rolls along Ken Graydon has ridden it or wrote about it. Thank you Ken for the opportunity to know you and to archive your work in the recordings we’ve done together. Track 02. "Three Quarter Time"
Track 03. "Where Coyotes Sing"